Approach: Don't run from your past – embrace it. Within the market of American motorcycles, the default is Harley-Davidson. Harley is loud, proud, and lifestyle-driven. It patented its engine rumble and proudly rests on its laurels. 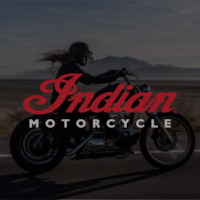 Motorcycle enthusiasts and experts who wrench express a fondness for “Old Indian.” But because Indian has been bought and sold multiple times, they're holding their chips to see what happens under performance vehicle company Polaris. They’re playing coy now, but they’re still eyeing the brand. Indian is a brand that embodies the mantra, “if at first you don’t succeed, just try, and try again.” Under Polaris, they’ve kept what’s amazing and improved what was not. 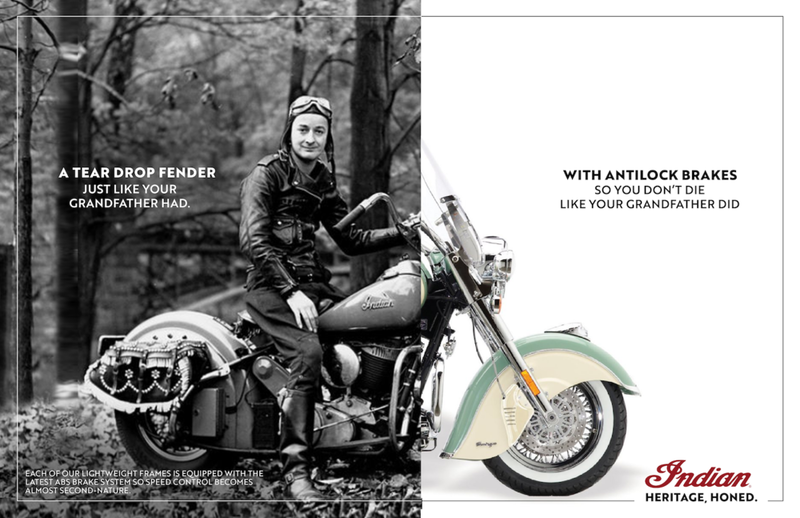 Indians still have the same beautiful, traditional look, but have completely revamped what’s under the hood. They’re probably new to cycling and are not the conventional biker, but have always admired the devil-may-care style biking has stood for. This target sized themselves up and decided that they didn’t like what they saw. But instead of seeking revolution like their midlife crisis-having counterparts, they’ve sought evolution. They want to do things right this time around and don’t like the 1-dimensional or static because it feels fake or too glossy. America loves a good redemption story almost as much as they love an underdog. Indian is the comeback kid. Deliberate evolution is no less valid a change than revolution.